Academics and professionals looking to validate their English language proficiency by taking the IELTS get the most comprehensive preparation available anywhere with Barron’s IELTS Superpack. 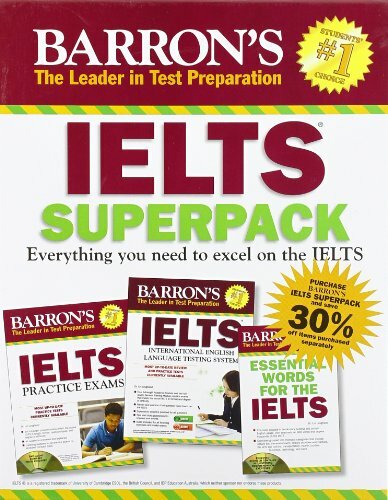 It consists of the new 3rd edition of the Barron’s brand-new IELTS manual with 2 audio CDs, IELTS Practice Exams with 2 audio CDs, a $24.99 value, and Barron’s Essential Words for the IELTS, an $16.99 value. 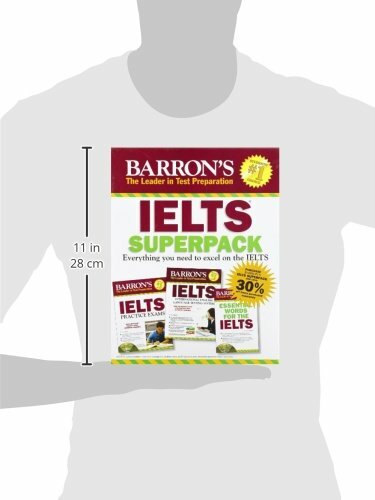 The IELTS Superpack represents a total value of $63.97 when items are purchased separately. Students who purchase the IELTS Superpack at $45.00 save $18.97.